Kevin Holland is a classically trained musician, artist, software engineer, and educator. 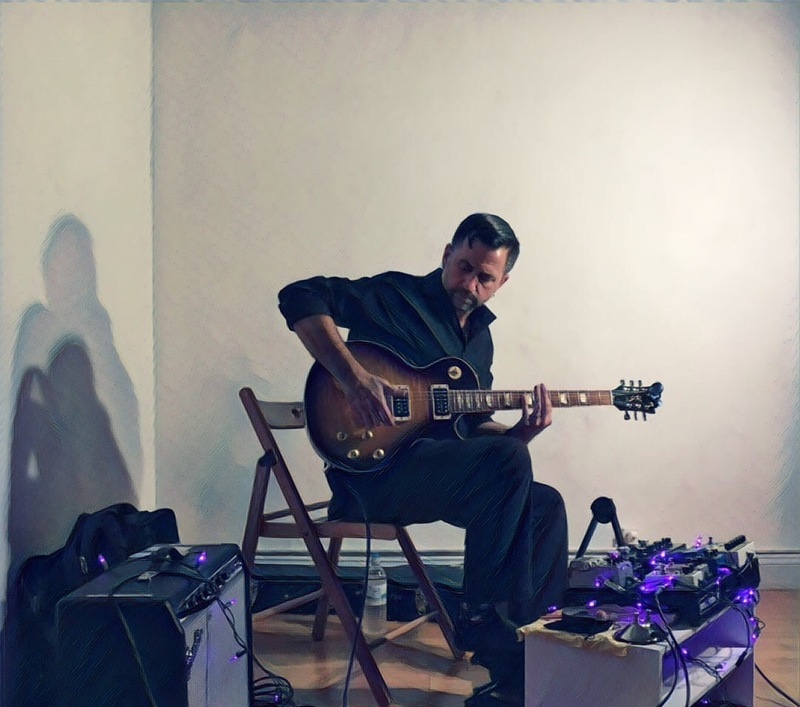 He has written 800+ pieces of music, shipped seven music applications written in Max/MSP, helped develop and ship six iOS apps, and co-created the NTH Music Synthesizer and Luminth Generative Music System at NTHSynth, LLC. Kevin has taught private music lessons for over 20 years, and offers workshops on improvisation and live looping through jandkmusic.com. He has worked in various genres including classical, jazz, blues, punk, rock, ambient, electronic, and experimental, and has scored for film, television, web, and video games. Sineqube in its current live and studio form is the ambient experimental music project of Kevin Holland and Jennifer Dutiel. They create original improvised soundscapes by orchestrating and layering the vast timbral palettes of guitar and voice. Playing with the balance between tranquil beds of ambience and the uncharted frontiers of experimental music, they fuse elements of both to paint a live aural canvas that is exploratory, lilting, and inviting.